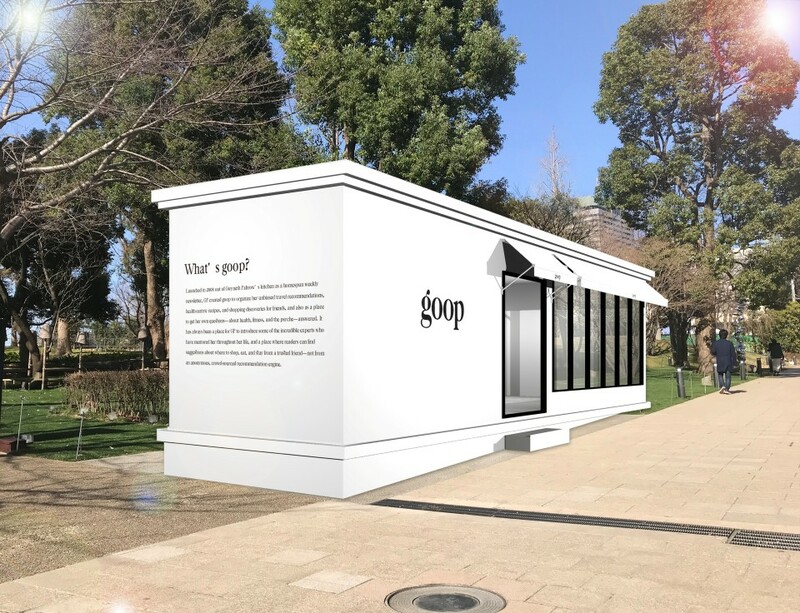 “goop TOKYO,” from the lifestyle company Goop, Inc. founded by Hollywood actress Gwyneth Paltrow, is set to open a pop-up store and cafe in Tokyo’s Minato Ward later this month in what will be the brand’s first foray into the Japanese market. Pop-up store “goop TOKYO pop-up & café” will open from April 19 in the garden of commercial and residential complex Tokyo Midtown. With a planned area of around 2,000 square feet and seating for 80 the temporary facility will be the world’s first Goop café, serving dairy-free dishes based on original, California-style, recipes from the brand made using high-quality ingredients from Japan. 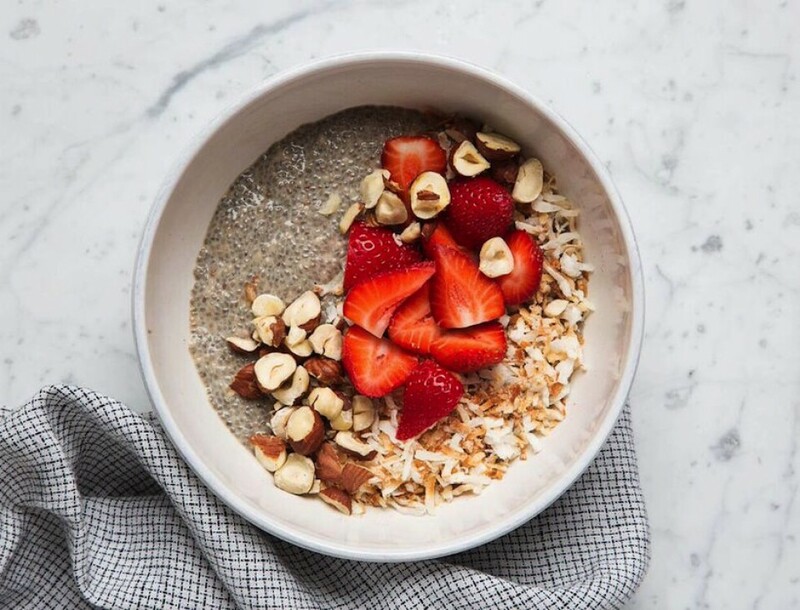 Menu items include the Black Bean Quinoa Bowl and the Chia Pudding with Berries. The store’s product line up is set to include items from in-house brands “goop by Juice Beauty” (skincare), and “goop Body” (bodycare) along with clothing from G. Label and G. Sport. Visitors to the Tokyo store will also be able to get their hands on Japan-only t-shirts and tote bags, among other limited-edition goods from the brand. “Opening a store in Japan has been a dream of mine for many years. Japan is one of the places I love the most,” Paltrow commented in a press release. The Hollywood star launched Goop in September 2008. Based on the idea of “wanting to enable all women to live their lives in more beautiful, more healthy ways that are more in keeping with themselves,” the brand showcases products developed by Paltrow herself as well as curated goods and services based around the categories of wellness, travel, food, beauty, style, and work. Garnering support from L.A.-based celebrities and praised for its empowerment of women, the Goop brand has gone on to enter the market in the U.K., and has permanent stores in L.A., New York and London. Paltrow, 47, made her acting debut in 1991 before going on to star in films such as the David Fincher-directed Seven, and the blockbuster franchises Iron Man and Avengers. At the 71st Academy Awards Paltrow picked up the award for Best Actress for her turn as Viola de Lesseps in the 1998 film Shakespere in Love. “goop TOKYO pop-up & café” will be open from Friday April 19 until Sunday May 26 at Tokyo Midtown - Midtown Garden.